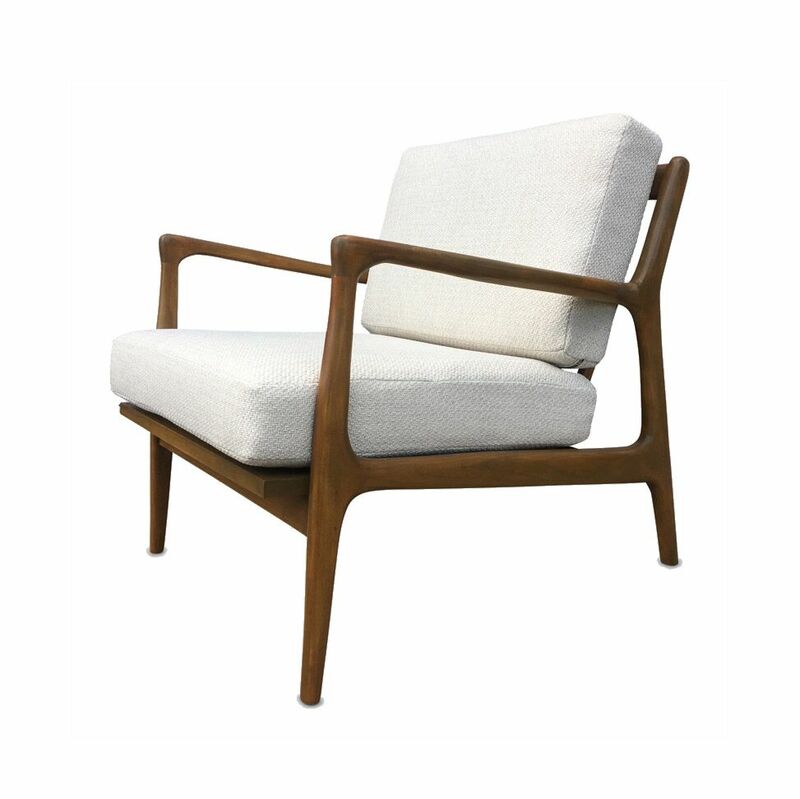 The quintessential midcentury style chair. The sumptuous, angled alder base comes in light or dark stain. Choose from our selection of durable, woven upholstery fabrics, or use your own material. Standard foam fill. Ottoman is available.